Why we are the Poop in the Scoop Industry! We realize the act of picking up poop seems simple but we ask you to consider, other than price, what separates us from our competitors? We have high standards in how we operate in every aspect of our business practices. The Best in the Northwest! – Pooper Trooper is an award winning service and we strive to offer you the best and most reliable dog waste management services. Customer satisfaction is our #1 priority, the poop is #2! We are not a Franchise – Being a locally based company created by Northwest Natives enables us to understand the unique neighborhoods, weather and seasonal challenges, development elements and traffic conditions special to our area and allows us to be able to provide you a more personal approach to your service. We are also able to handle poop emergencies efficiently and can respond within 24 hours Monday through Friday. Great Employees – We invest in our employees who are not independent contractors and are trained by us for a minimum of 4 weeks or until we feel they are ready to go on their own. All employees are required to be dog lovers and are back ground checked by WASP. They are paid well and receive bonuses and benefits. This makes them take ownership of their performance and pride in being a Pooper Trooper! Innovative GPS Systems – In order to track and schedule jobs, manage routes and clock payroll, we have employed a GPS tracking system in which we can see where our people are at all times and ensure clients yards are receiving the attention they deserve. Reliable Assigned Service Day – Our routes have been created by neighborhood, thus we are able to offer our clients a set day of service so they know when they can expect their yards to be cleaned. This gives them the ability to schedule other services or events around their service day. Although we can commit to a service day, we are not able to commit to an exact time of service. Know who is on your Property – Our Trucks are clean and clearly marked and our Troopers will always be wearing Pooper Trooper gear. 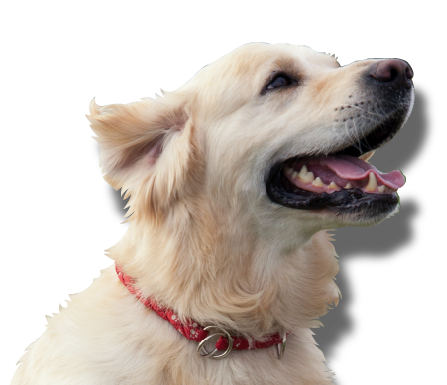 Dog Safety – We are diligent in ensuring all gates are locked behind us keeping your dog safely inside your yard. Our motto is that securely closing gates is a top priority, the poop is #2! In addition, we will communicate if we see anything concerning with what we pick up. No Cross Contamination – We have unique Wash-Down Systems on our trucks that allow us to thoroughly clean all of our tools and shoes after each job. We are also able to treat the tools with our special Non-toxic, biodegradable solution that is also used to treat the poop we pick up or any residual on cement and walkways that we are unable to fully get up. A Washington Green Company – Pooper Trooper was recognized as one of Washington’s Top 50 Green Companies by Seattle Business Magazine because not only what we do contributes to reducing waste water pollution, but also our dedication to environmentally conscious business practices such as using route management to keep our routes efficient and not abuse our infrastructure, paperless invoicing, and using non-toxic, biodegradable products. I can’t thank you enough for fitting us in on your route! You have all been amazing and we are super thankful that you were able to help us out in our need when Stacey broke her ankle last year! A huge, sincere THANK YOU for your help!